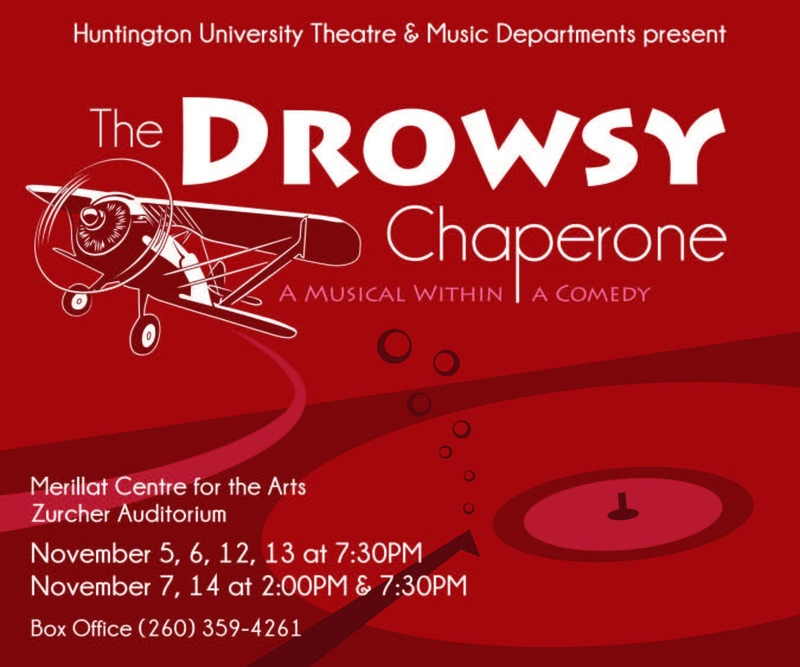 I went to see HUTU’s depiction of “The Drowsy Chaperone” anticipating a festive entree — the prefect blend of good music and laughter. To my delight, this performance had me grooving to the beats and roaring with laughter. The play opens in pitch darkness. The words, “I hate theater” ring thoughout the auditorium. “Well, it’s so disappointing, isn’t it?” With witty punchlines, the voice continues lamenting on several theater qualities. Finally, he offers up a prayer that the play will be short. Suddenly, the stage comes to life. Sitting in a chair in his New York apartment, a young man (Jordan Gregory) implores the audience to join him on a journey through time via music. As he listens to the record of a 1920’s Broadway show entitled “The Drowsy Chaperone,” the characters therein come alive, transforming his simpleton home into a jubilant ambience. The production follows the tale of Robert Martin’s (Trenidy Cox) and Janet Van De Graaf’s (MaKenna Belt) wedding day as Mr. Feldzieg (Sam Jones) undergoes pressure from Italian gangsters (Alora Trinkle, Nathaniel Roth) to break up the wedding — or suffer his own ill fate. And this is all spiced with tasteful adult humor throughout. Hats off to the cast and crew of this production in respect to both acting and overall execution. A lot of obvious hard work and team effort went into this superb performance. Between the Belt’s flawless on-stage costume changes and Adolpho’s (Ja’Shon Burks) hilarity-ensuing jokes, one must appreciate the level of professionalism. And let’s not forget to mention the incredible stage setup and props — all elements which brilliantly served to drive the plot forward. “The Drowsy Chaperone” does exactly what a musical is suppose to — it takes you to another world. I can honestly say that investing your time and money to see the theater department’s performance of “The Drowsy Chaperone” is worth it. The play is an extremely funny and exciting watch from the first words echoing in darkness to its final closing note. “The Drowsy Production” will hit the stage again on Nov. 12, 13 and 14 at 7:30 p.m.
Anna-Kay is a junior journalism major. This review reflects the view of the author only.